Ampersand Eve started with the vision of providing the latest fashion trends, for the everyday woman. Ampersand Eve is a fashion boutique that will provide woman with the special, tailored pieces that fit their ever evolving independent needs. Our goal is to open Eve's closet, and give women the confidence to show up in every moment like they're meant to be there. Oversized blanket scarf, urban versatility. Features plaid prints with the perfect colour combinations to accent any outfit. Find your style wearing this gem as a scarf, shawl or snuggled up on the couch. 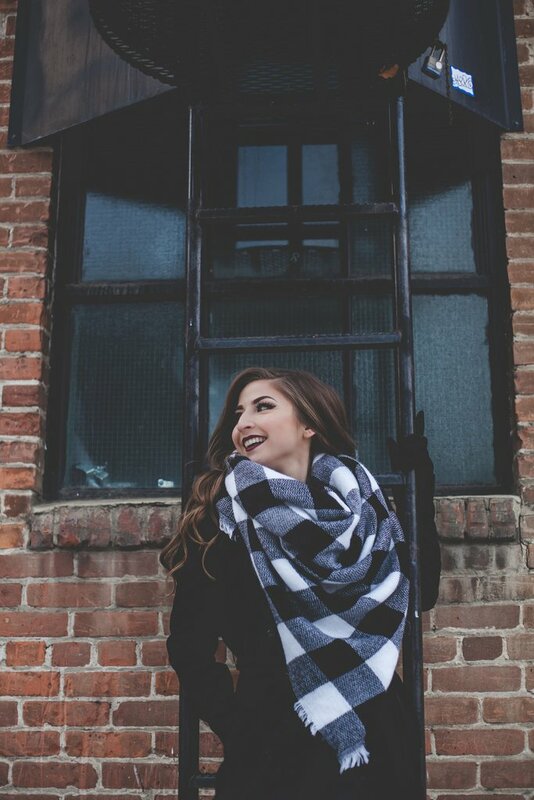 This super soft blanket scarf, is all you need to keep stylish and warm through any season.